FARMERS groups have come forward to express their collective disappointment with the lack of support and vision in the latest Queensland Budget. 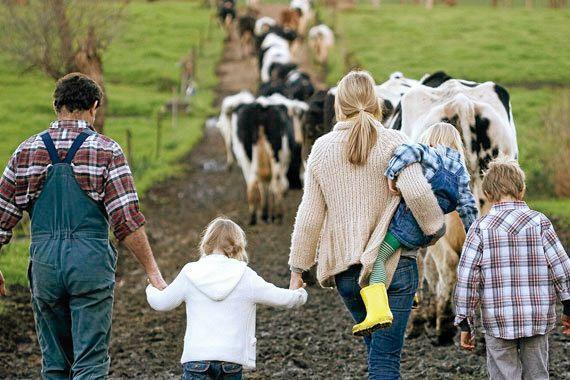 Among the groups who felt "underwhelmed by a lacklustre 2018-19 State Budget” which was regarded as "unlikely to generate much excitement in rural communities” were the Queensland Farmers' Federation (QFF), industry members and AgForce Queensland. The Queensland Farmers' Federation (QFF) accused the budget of lacking vision and overlooking the important role agriculture plays in Queensland's economy. QFF CEO Travis Tobin said that while the Queensland Government had delivered on its election commitments, this year's Budget was again a missed opportunity to address some critical competitiveness and productivity issues, and exciting growth opportunities for the sector, which would benefit all Queenslanders. "Credit to the government for fully delivering on its election commitments, upholding biosecurity funding for the Red Imported Fire Ant and Panama Tropical Race 4 eradication programs and maintaining funding for existing drought relief arrangements,” Mr Tobin said. However, Mr Tobin said that some of the critical and important bigger picture issues facing the sector had been ignored. "We must start to see a higher priority and more strategic intent for agriculture in the government's most significant annual document,” he said. "By 2030, two-thirds of the world's middle class will be living in the Asia-Pacific region. He said that meant genuinely addressing electricity and water affordability and the productivity nexus between them, targeted connection infrastructure funding, and strategic spending on risk management to help deal with climate variability. "We need to reverse the continued divestment in the [agricultural] sector,” Mr Tobin said. "While there is a slight increase in total portfolio funding this year, in real terms State Government spending on agriculture has decreased at an average annual rate of 1.7 per cent over the last 15 years,” he said. The peak organisation representing Queensland's producers of cattle, grain, sheep and wool, AgForce Queensland, also added their criticism of the State Budget for failing to drive the Queensland agricultural industry forward. AgForce Central Queensland Regional President John Baker said while funding was set aside for the Capricorn Highway duplication between Rockhampton and Gracemere, they would have liked to have seen more to help maintain and improve essential regional and rural transport infrastructure. "It is disappointing there appears to be minimal direct new funding for essential freight network projects or rural roads that would make it safer, easier and cheaper to get farm goods to market,” Mr Baker said. He welcomed the $176 million commitment to the Rookwood Weir that would match the Federal Government contribution and ensure the project would now go ahead. "It's good to see new water infrastructure for Central Queensland but how much agriculture will benefit will depend on the price of water and electricity costs,” he said. Mr Baker said the $4 million over two years to establish a scientific program to support an enhanced Statewide Landcover and Trees Study examining regrowth was a long overdue response to AgForce's calls for the Queensland Government to look at the full picture on vegetation management. "Vegetation management laws was the number one State Election issue for Central Queensland broad-acre primary producers and the positives in the Budget are overshadowed by the fact the new laws will make it harder for farmers to grow food and fibre,” he said. AgForce CEO Michael Guerin said Agriculture was one of the pillars of the Queensland's economy and the fastest growing industry in Australia, but had been largely forgotten in a State Budget focused more on big spending infrastructure initiatives in the south-east corner. He lamented that while there were positives of the budget, they were overshadowed by the one big negative of the new vegetation management laws that will shut down new agricultural development opportunities and make it harder for farmers to grow food and fibre. "AgForce acknowledges the continuation of existing drought support funding, but would have liked to have seen additional measures to relieve cost pressures on communities and primary producers suffering through their sixth year of drought,” Mr Guerin said.